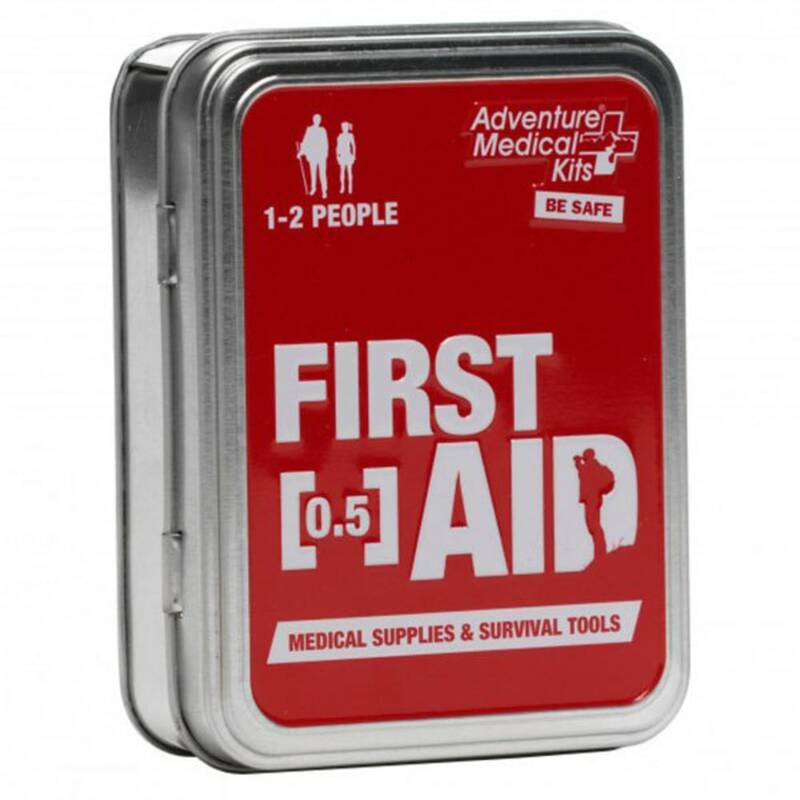 The Adventure First Aid 0.5 contains basic first aid necessities to treat cuts, scrapes, insect bites and blisters in a portable, stylized, hinged-lid tin case. 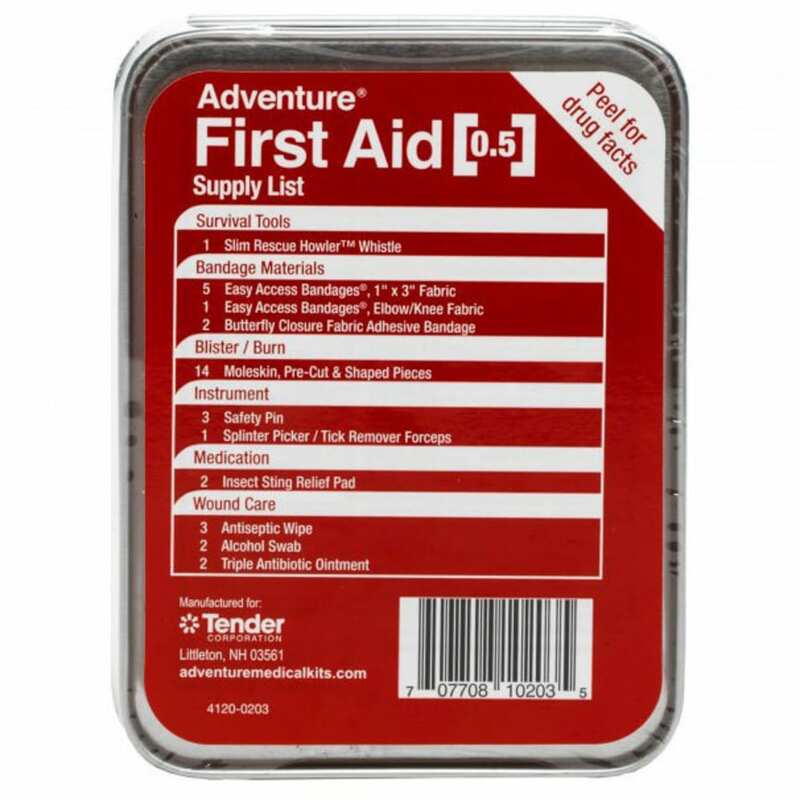 Add it to a hiking pack, toss one in the glove box, or add one to the medicine station for that vintage first aid look! Keeps contents safe in a durable, stylish tin. 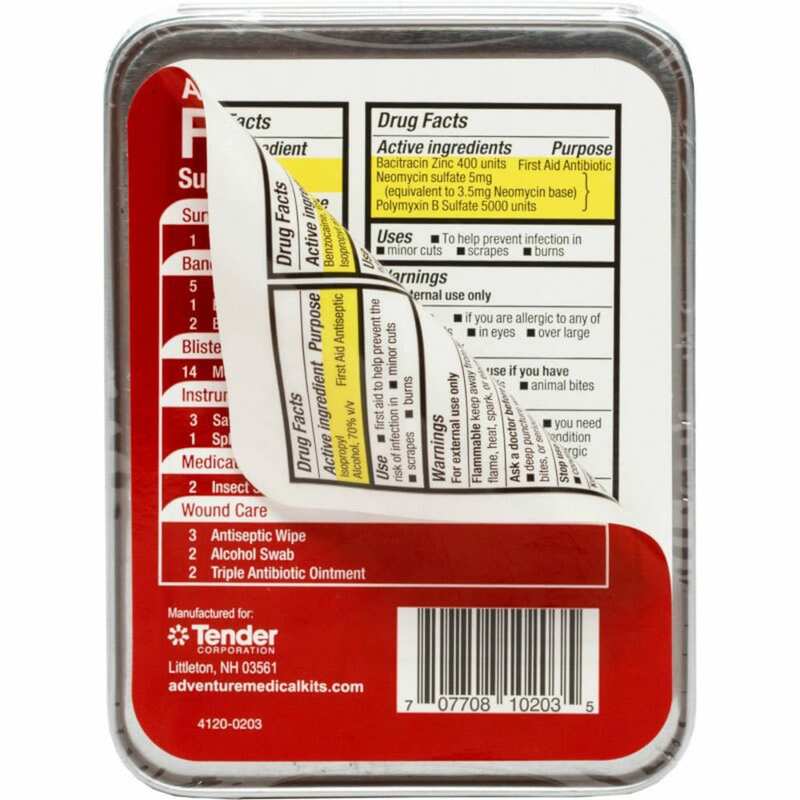 Fast and easy application and less contamination risk. 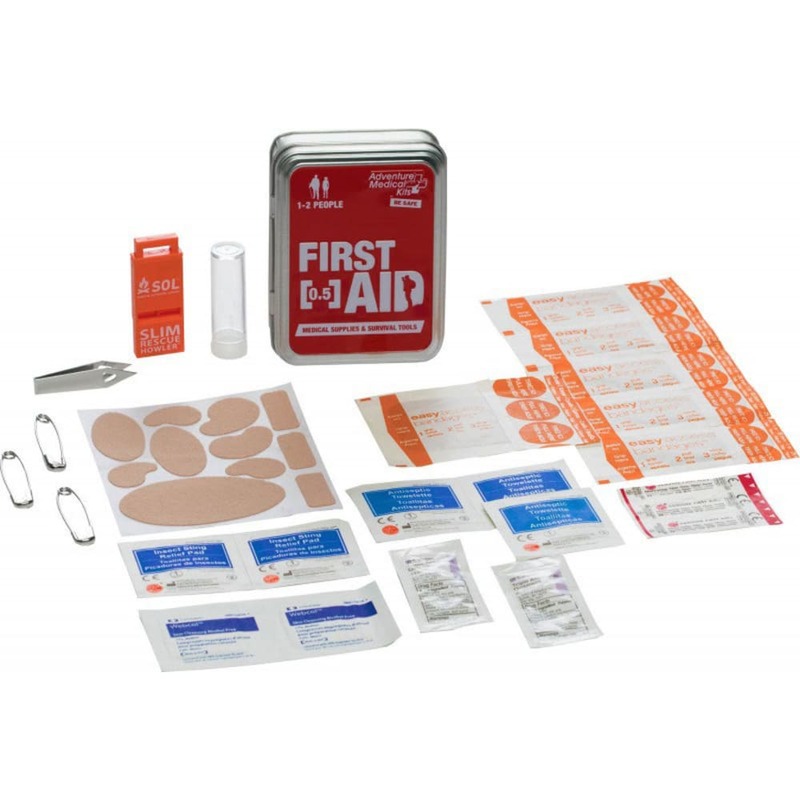 Clean and Close Wounds Antiseptic and alcohol wipes for cleaning small wounds. Size: 4" x 3" x 1.25"